9x12, xxxv + 380 pp. Prince Anton Esterházy, faced with staging important festivities in 1791 in the absence of his court composer Haydn, turned to the young Viennese musician Joseph Weigl. He commissioned a dramatic work on a libretto by Giovanni Battista Casti to be performed by members of the Viennese court opera. Inspired by these musicians (including three soloists who had created roles in Mozart’s operas) and by the prospect of an audience that included some of the Habsburg monarchy’s wealthiest and most influential patrons, Weigl produced a well-crafted score that contains moments of extraordinary beauty and dramatic power. 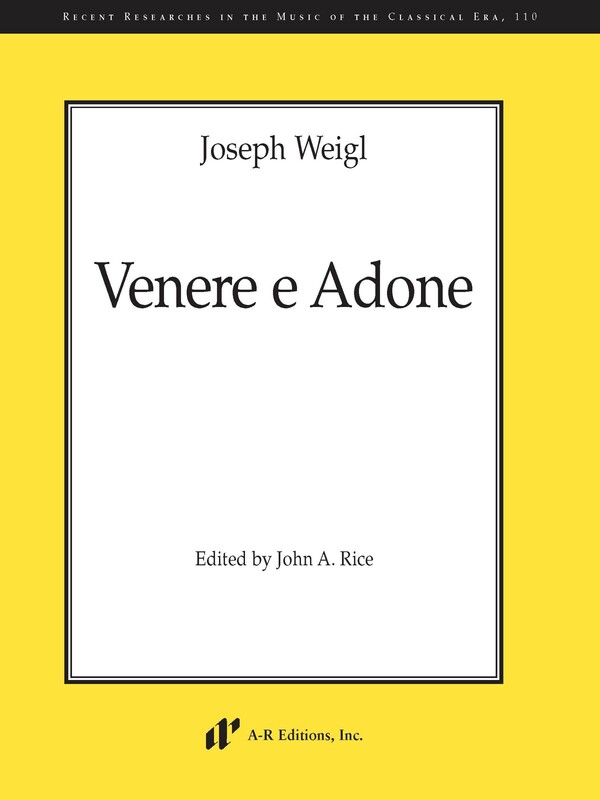 The libretto of Venere e Adone calls itself a cantata; the composer himself, in his memoirs, referred to Venere e Adone as “eine grosse Cantate.” But in both text and music it conforms closely to the subspecies of Italian serious opera known as the azione teatrale or festa teatrale—typical features of which are brevity, a small cast, an important role for chorus, a plot based on Greek mythology, and a celebratory function.